Rebecca is the Global Health Program Assistant and a recent Northwestern grad. During her time at NU, she studied public health in Santiago, Chile. She loves dancing, reading about health activism, and college football. 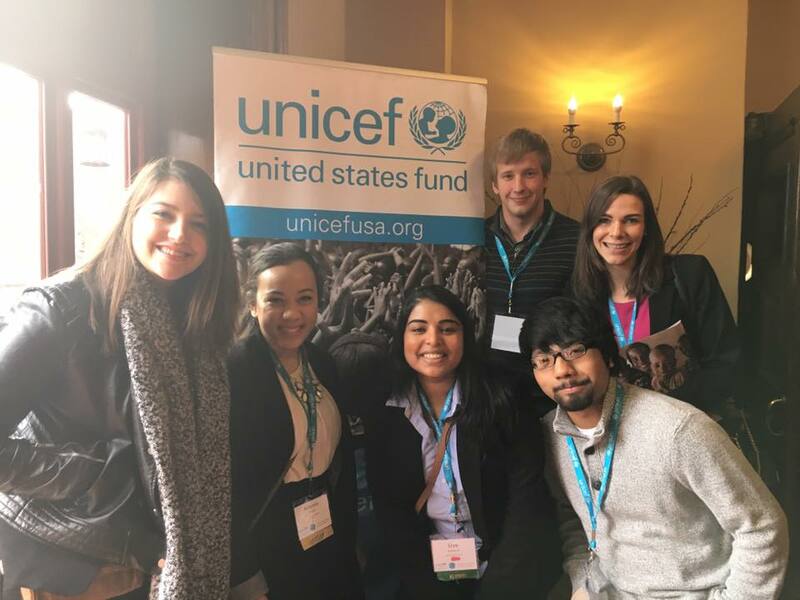 The UNICEF NU Club at the 2016 UNICEF Student Summit in Washington, DC. UNICEF NU was given the opportunity through IPD to attend the annual UNICEF student summit this year in Washington, D.C. Over 300 students attended the conference from all around the U.S. To kick off the conference’s theme of advocacy, U.S. Ambassador Samantha Power Skyped in as the first speaker, discussing what we can do now to help the Syrian refugees as advocates for change. Other speakers throughout the weekend included Martin Rendón, the Vice President for Public Policy and Advocacy for the U.S. Fund for UNICEF, Laura Ulloa, Monique Coleman, and Caryl Stern, the President and CEO of the U.S. Fund for UNICEF. In addition to keynote speakers, we were able to attend workshops on how to advocate for change in specific areas of interest that we are passionate about. These workshops included educating others on how to recognize human trafficking, understanding the Sustainable Development Goals, and many more. I attended the human trafficking workshop, and learned more about what I can do if I identify someone who is being trafficked, and how our club can educate other students at Northwestern on stopping human trafficking now. Outside of the workshops, we were able to share best practices with other schools from around the country. We are so excited to organize the fundraising and programming ideas that were shared with us in Spring quarter! Students from Illinois with aid to Rep. Jan Schakowsky (D – IL). After the conference ended, students had the opportunity to stay an extra day in Washington D.C. to participate in Hill Day. 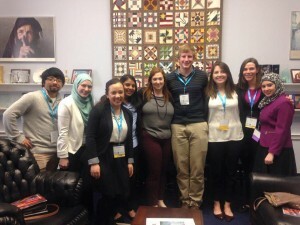 Hill Day teams were broken up by state, and Northwestern joined Benedictine University to meet with our local representatives. I met with aids to Rep. Danny Davis and Rep. Jan Schakowsky to discuss the Reach Every Child and Mother Act and discuss how we can put children first in the U.S. This opportunity was a great hands-on experience that allowed us to apply the theme of advocacy to bring about effective local and global change.